Bubble mailers protect your more fragile shipments. 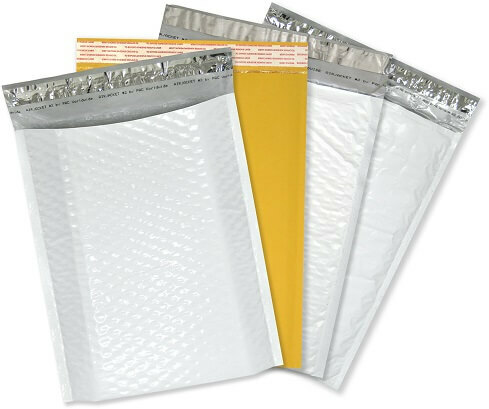 PAC bubble mailers are available in a variety of sizes and materials. Customize white poly exterior, kraft paper exterior, gusseted bottom, or jumbo bubble lined. Click CONTINUE to design your own bubble mailer with your logo, images and text! 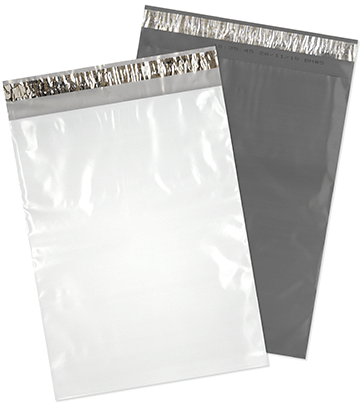 Polyjacket flat poly mailers are available in white poly or grey recycled poly. Perfect for your soft goods or less fragile items, custom sizes or stock sizes available. Click CONTINUE to design your own flat poly mailer with your logo, images and text! 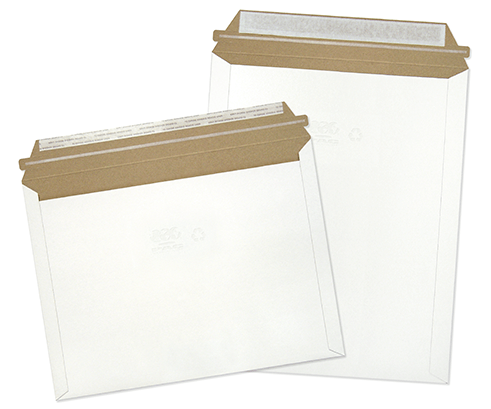 Mailjacket rigid paperboard mailers are perfect for your “Do Not Bend” shipments. Custom size to fit your needs or choose from a size from our stock program. Click CONTINUE to design your own paperboard mailer with your logo, images and text! PAC pouches are available in matte or gloss finishes with 10-color printing in matte or metallic ink. 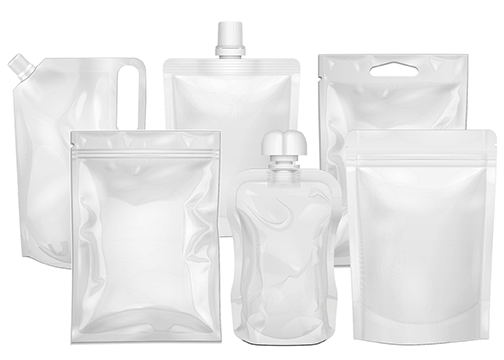 Available in stand-up, flat, retort, spouted, microwaveable, refill, quad-seal and roll stock, there is a Pouchjacket for nearly every application. Pouchjackets are ideal for food items, pet treats, coffee, tea, pharmaceuticals, cosmetics, agrochemicals, grass and bird seeds, and many other applications. Click CONTINUE to design your own standup pouch with your logo, images and text! Please note that the Build-a-mailer is a design tool, submitting your designed mailer will not place an order. Once you submit your design your sales rep will contact you directly.